With the recent trend of power packed budget phones in India (thanks to Xiaomi), other companies have been forced to adapt to this new demand. And, while Android and iOS rule the market, there is hardly any space left for other operating systems to stand a chance in this one-off battle. In India, which is expected to be the number one country, based on the number of mobile users and buyers, it is a must for companies to know what they are getting themselves into. While there exists demand for premium products like the Note 4 and the 6 Plus, there are people who want more for less. Phones like the Mi 3, Redmi Note and the Redmi 1s, available only through flash-sales on Flipkart, have proven to become a major success and if reports are to be believed, it has already come to third place in India. The newest addition to the Indian market has been phones running on Cyanogenmod. 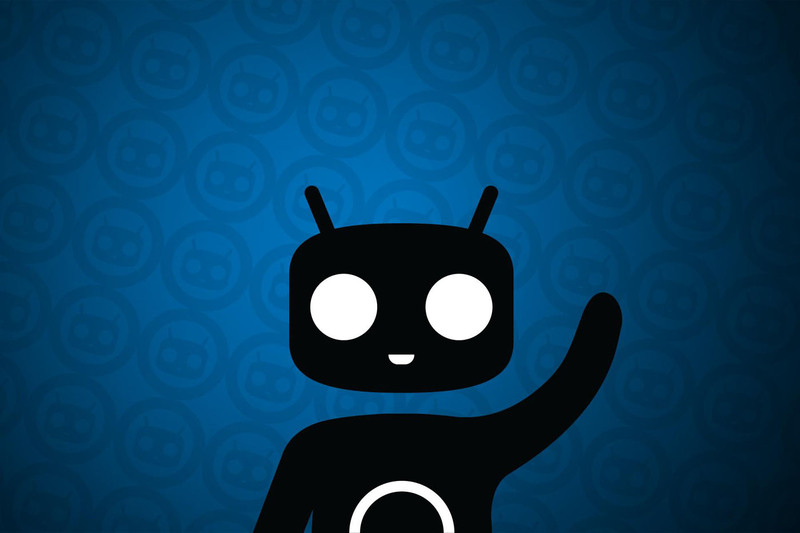 Cyanogenmod is an operating system that has been on the run since a very long time, and a success nonetheless. The creators of this OS had it custom built for rooted Android phones only. But now, they have started flowing it onto flagship devices. The basic advantage that this OS provides us with is the fact that there is no bloatware. It is highly customizable, and even a newbie could get the hang of it. 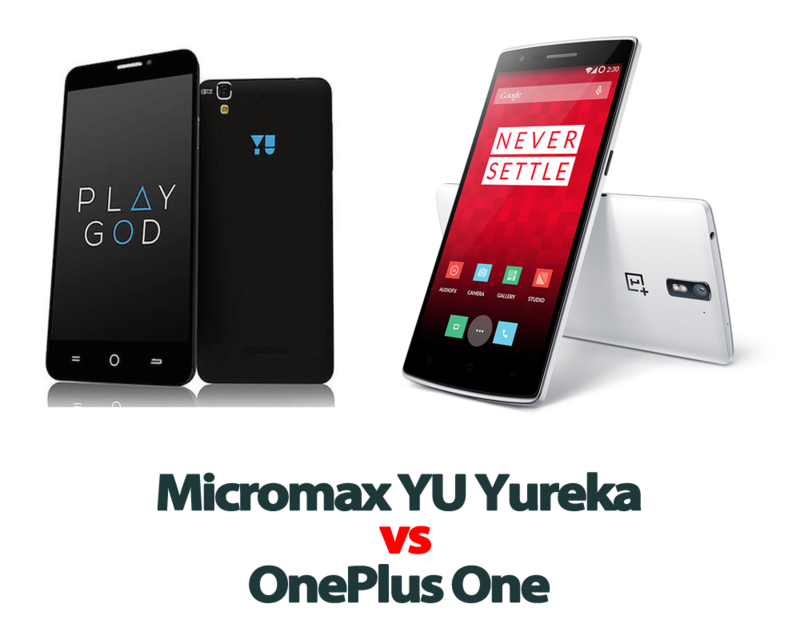 Two such devices are the OnePlus One and the Micromax Yureka, a first from the awaited ‘Yu’ Series. While the OnePlus One is not new to international markets, it is new to Indian markets. The OnePlus One is available only through Amazon.in, and only people who have been invited to buy the phone can purchase it. So, to help you out with which Cyanogenmod phone to buy, we have outlined the good and the bad of both the phones. A heads up: it’s brutal. The OnePlus One measures a screen size of 5.5 inches. The display is an IPS 1080p Full HD display with 401 PPI. The phone also supports Corning Gorilla Glass 3. On the same line, even the Yureka has an IPS HD display measuring 5.5 inches. But, the Yureka takes a beat here, as it has only a 267 PPI. This is very less as compared to the OnePlus One. The Yureka also supports a Corning Gorilla Glass 3 display with Oleophobic coating. Winner: The OnePlus One dominates the Yureka in the display category, although there is not much of a difference in them. The Yureka, at a first glance, would look like any other random Micromax budget phone. It has a glossy front with pressed in buttons, while the back has a new matt black feel. The phone has a removable back cover, which means that you can change the battery any time you want. The phone, although a biggie, doesn’t have that premium feel, but it’s worth every penny. The OnePlus One, on the other hand, has a premium plastic matte finish running throughout the phone. The biggest drawback here is that the battery cannot be removed. The plastic fitting, although not a tight one, prohibits the removal of the back cover. The OnePlus One is not a thin phone, nor is it light. But, it is also not a slate carved into a phone. The dimensions of the OnePlus One are 152.9 x 75.9 x 8.9 mm with a hefty weight of 162g. The Yureka has dimensions of 154.8x78x6/8.8 mm. 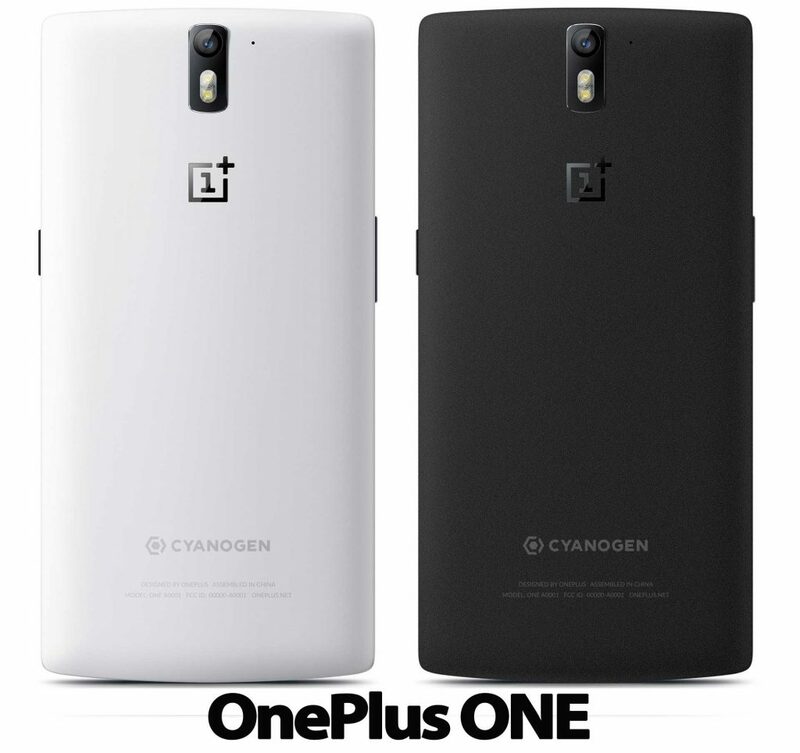 The OnePlus One is available in two colors- Silk White and Sandstone black, and the Yureka comes only in one color- Moonstone Grey. 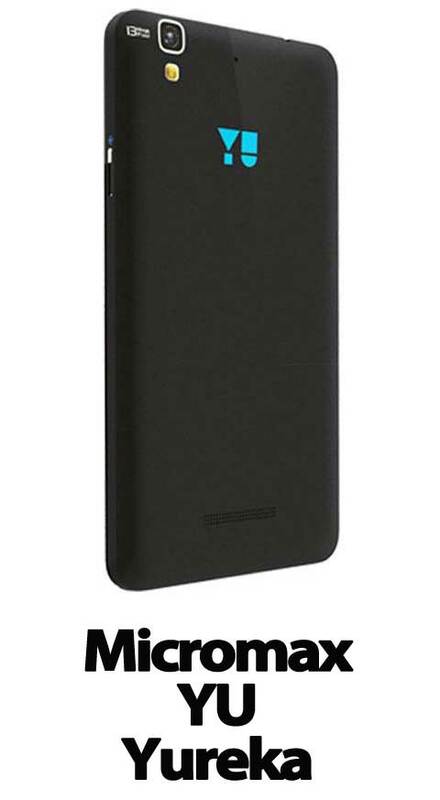 Winner: Though it’s close to call, the winner here is the Yureka, primarily due to the removable back cover. Other than that, the Yureka does somewhat give a better feel that the OnePlus One. The Yureka has an internal memory of 16 GB. The company, albeit, claims that around 12.5GB would be available for the users. The phone also supports expandable memory of up to 32GB, with the help of an external SD Card. However, the OnePlus One has a limited storage on the other hand. The OnePlus One variant in India has a storage capacity of 64GB. This memory is not expandable, which is another drawback of the OnePlus One. Coming to the battery of both the devices, the OnePlus sports a 3100 mAh LiPo battery, with a powerful performance. On the other hand, the Yureka has a 2500 mAh battery, drastically lesser than its counterpart. Winner: The OnePlus One is dormant in the battery section, whereas the Yureka has a better option for expanding memory. This would be a tie between the two. Perhaps the most similar features in these two phones include the camera. Both of them have front and rear facing camera, which are capable of shooting amazing photos and videos. The OnePlus has a 13 Megapixel – Sony Exmor IMX 214 lens, with 6 lenses to avoid distortion and color aberration and a dual LED-flash. It also has a 5 MP distortion free front camera. The Yureka, on the other hand, has a 13MP AF rear camera with a resolution of 3120*4208 and a 5MP front facing camera. The only difference between both the phones’ cameras is that the OnePlus One has the capability of shooting videos in 4K. Now, the connectivity is a breakthrough in both the phones. Both of these phones support 4G, a technology yet awaited in India. The major shock here is that the Micromax has provided 4G connectivity at a very low-cost phone here, primarily to match the specs of the OnePlus One. Other than that, both the phones have Bluetooth 4.0, the latest iteration, and they also have the support for GPS. Winner: The clear winner here is the OnePlus One, just because of the fact that it can shoot 4K videos, with a very low cost affiliated to it. The most important part of any phone is the chipset that the phone supports. Now, in both of these phones, there is a drastic difference in the chipset provided by the parent companies. The YU Yureka comes with a Qualcomm Snapdragon 615 (64 Bit) 1.5 GHz Octa-Core processor. Multi-tasking on this phone is as smooth as butter. The Yureka also has a 2GB DDR3 RAM. While, the OnePlus One has a Qualcomm Snapdragon 801 processor with 2.5GHz Quad-core CPUs. This is also the powerhouse of a phone. The phone sports a 3GB LP-DDR3 RAM. Again, multitasking on this phone as well has never been easier. Winner: The clear cut winner over here is the OnePlus One. With 3GB of ram and a 2.5GHz Quad-Core processor, it will kill all the phones in the similar price range. In the ‘other factors’ come all the miscellaneous features provided by the respective company, along with the standard requirements. Both phones support various audio, video and image formats like MP3, AAC, AMR, OGG, and M4A, MID, WMA, FLAC, APE, AAC, and WAV. Recording: AAC, M4A. Video supported formats, Playback: MP4, H.263, H.264, RMVB, and FLV720P. Recording: MP4. Image supported formats Playback: JPEG, PNG, GIF, BMP, and Output: JPEG, RAW. Both phones have a micro-USB 2.0 port that charges it up. Both of ‘em support micro-SIM cards and have capacitive touch screens. While both the phones boast of Cyanogenmod, Micromax YU Yureka is the one to receive future updates from Cyanogenmod. There’s a legal tussle going on between Micromax YU & OnePlus over rights on using CyanogenMod on their smartphones and reportedly YU Yureka is the one getting the future updates. But that doesn’t mean OnePlus stops there. OnePlus will reportedly launch their own ROM by February 2015 a preview of which will be available by this year end. We’re not really sure how their new ROM will be and what kind of features it’ll be packed with. Winner: I’ve a feeling OnePlus will try its level best to beat CyanogenMod with their new ROM, but for now the winner is Micromax YU Yureka. Perhaps the most important and the sole deciding factor in this comparison is the price. What is more shocking is that both of these phones are an Amazon exclusive, which means that at least initially, both of them would be available for purchase via Amazon.in only. The YU Yureka is a steal, priced at only Rs. 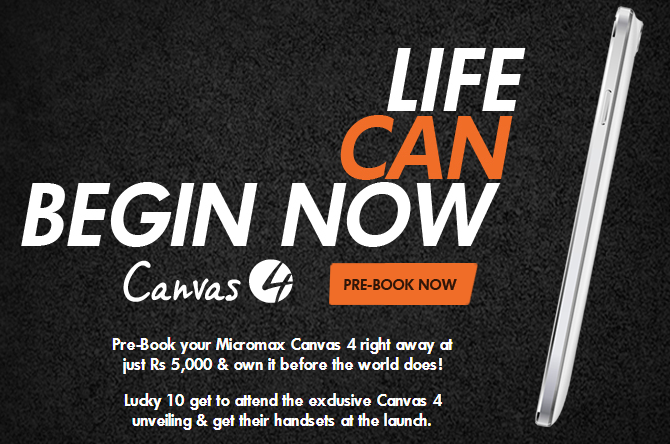 8,999/- with jaw-dropping features that almost equal the OnePlus One. Many analysts say that this could be a huge problem for all other companies, especially the OnePlus. On the other hand, the OnePlus is priced at Rs. 21,999/- only. Even this price is not high as compared to other phones in the market, like the Galaxy S5, which is more than double the price of the OnePlus, with almost similar features. For a budget conscious person, the Yureka is a steal deal. It is a solid phone, with thriving features to its list of excellence. On the other hand, people who are going for high-end phones, OnePlus is recommended as it has the same features and a very low cost. Bear in mind, the OnePlus One is an option to purchase only if you have an invite, while you have to register to purchase the Yureka. Point two is irrelevent because phones whose batteries can be removed are highly vulnerable to battery hazards than the phones with non removable batteries. And Sir about the price ..You are getting a quality product with features like 2.5 Ghz,3GB Ram,64 GB rooted memory which are so much worth in 18,000 and if you buy this phone with a discount ..you can get it for about 17k-18k which is much lower as compared to other brands counterparts.